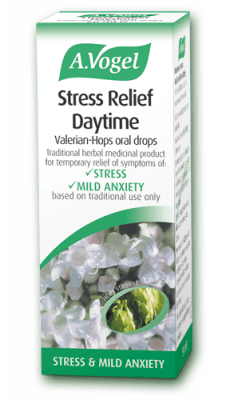 A.Vogel’s Stress Relief Daytime is a herbal remedy containing extracts of freshly harvested, organically grown Valerian and Hops. Stress Relief Daytime is Used for Relieving Daytime stress to help you cope with the pressures that can sometimes build up around you when you are busy, reducing symptoms of stress and mild anxiety. Unlike most other stress relief remedies that are based on natural herbs, Stress Relief Daytime comes in the form of a herbal liquid tincture. Take 10 to 20 drops once or twice a day to help you cope better with the stresses around you. It is not known to be habit forming. The use of fresh herbs gives Stress Relief tincture a stronger taste and smell because it has not lost its volatile oils. 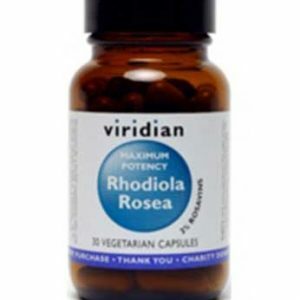 Some people may prefer to take Stress Relief diluted in fruit juice, rather than in water. Stress Relief Daytime is a natural based herbal remedy for mild anxiety and symptoms of stress. It may be used by adults (those over 18 years of age) and the elderly. Take 10 to 20 drops once or twice daily. Do not take more than the recommended dose. This herbal remedy is not known to be habit forming. 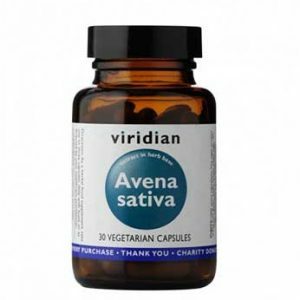 Stress Relief Daytime contains the natural based herbal extracts of Valerian (valerian tincture) and Hops (hops tincture) obtained from freshly harvested herbs organically cultivated in Switzerland. Other ingredients used are ethanol and water.